Premium transport on low price - private car transfer from Venice to Budapest or return. Taxi or minibus, for cheap fixed price. - General Informations about Venice to Budapest transport: distance Venice - Budapest: 710 km (442 miles) duration: approx. : 8 hours. - The journey by car does not take longer than flying from Venice to Budapest. During the journey you can ask your driver for a short rest whenever you want. 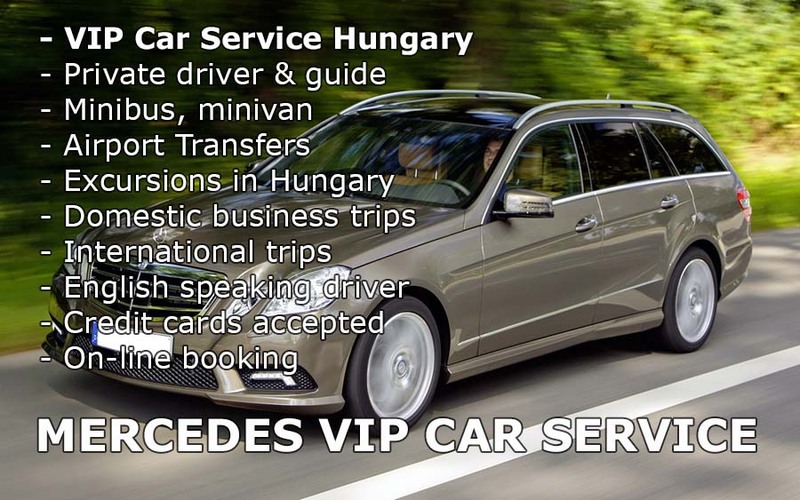 - Premium private car service, taxi, minivan, minibus from Venice to Budapest or other destinations in Hungary. The train, bus or flight may not set off, when appropriate for you, but We can adapt ourselves according to your needs. The private road transport is more comfortable than travelling by train or coach. Choose comfort and security! We provide private car tranfers with Hungarian + German + English speaking driver between Venice Airport or city and Budapest, Hungary. We do not have scheduled or collective transfers, you or your group members are the only passengers in the car. The prices are fixed for the transfer cars, not per person. Of course you can book return from Budapest to Venice too. 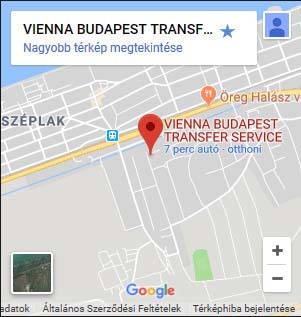 * You can use the taxi service from VENICE to BUDAPEST vice versa on cheap, fixed transfer prices. 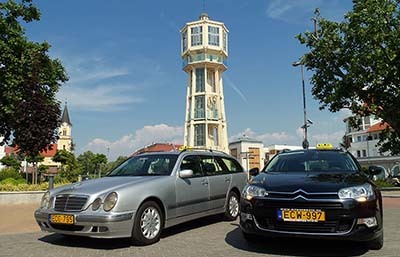 We offer for airport pick up and transfer Mercedes E class, station wagon or sedan, Opel Zafira with a large luggage-rack and airconditioning. The Budapest Minibus Service is available between Budapest Liszt Ferenc Airport, Vienna International Airport, Bratislava Airport, Graz Airport, Zagrab Airport vice versa on fixed rates. Our minivan or minibus fleet: Mercedes Vito, Mercedes Viano, Fiat Scudo, VW Caravelle. For many luggages a truck-trailer is available for extra fee. Passenger transport wit English speaking driver. Rent a coach or bus for larger groups. 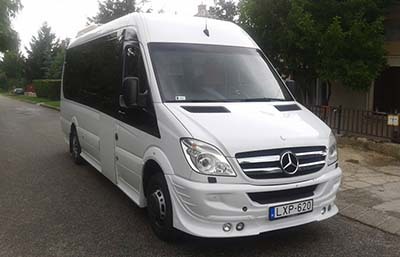 We provide group transport with 15, 18, 20, 50 seater buses between Venice and Budapest. 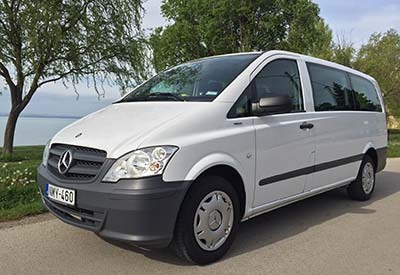 Private car transport by minibus, minivan from Venice or Venice Airport to Budapest - Minibus Shuttle – Mercedes minivan for max. 8 passengers, fully air-conditioned, premium category. Best option for small groups, companies, We recommend this service for hotels, travel agencies, companies to carry out airport transfers or international trips. between Venice and Budapest. the price can be more reasonable than travelling by train or bus line. VENICE to BUDAPEST by bus, coach transfers. Group bus transfer. with 18, seater Mercedes Sprinter bus. Fully air-conditioned, premium category. We recommend this bus for companies, travel agencies, bigger groups for airport transfers, scenic tours or international trips.